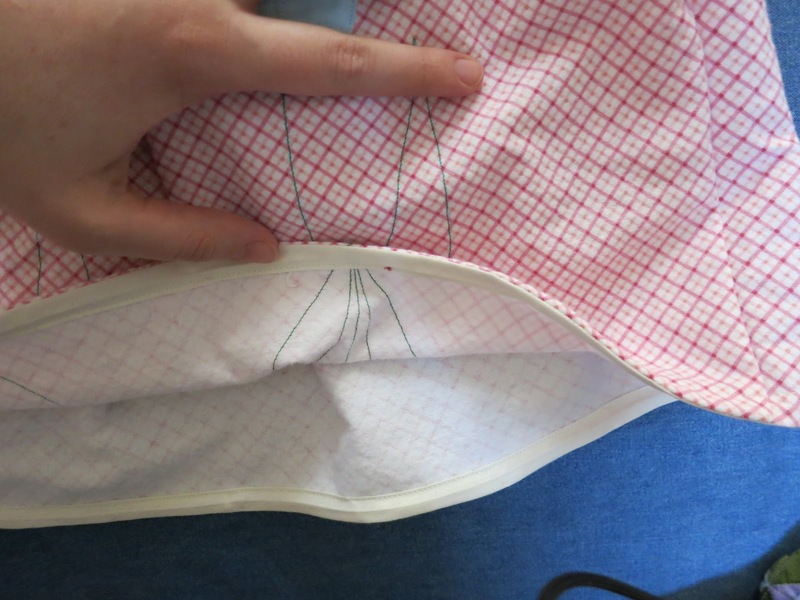 I made myself a template, and traced it four times on my fabric -- twice for each pocket. Here's my skirt. These pieces are just rectangles, the skirt is gathered and there is elastic in the back. 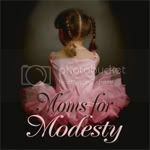 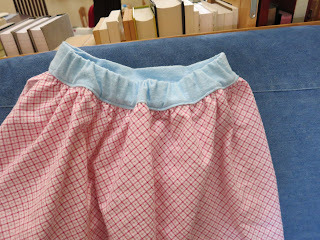 The skirt is the full width of the fabric, and I arrived at the measurements for the waistband by measuring a pair of jeans that fit and have this elastic configuration. 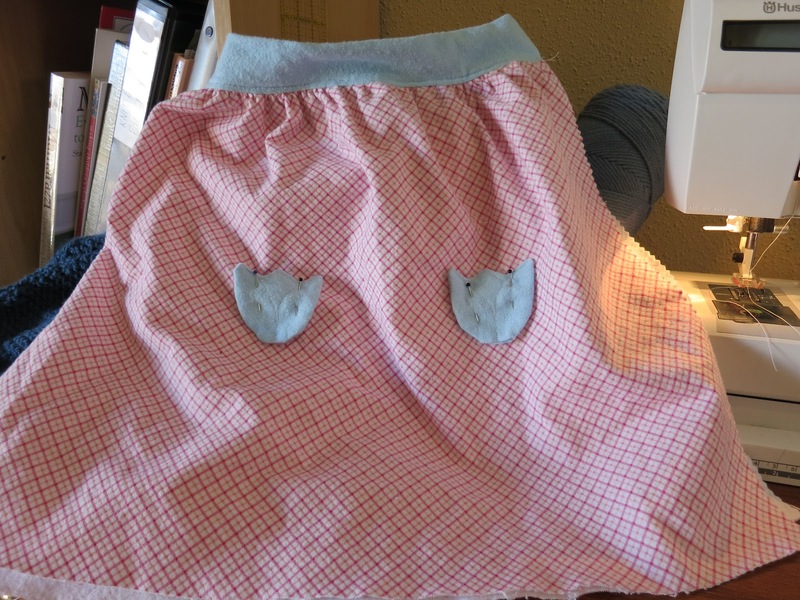 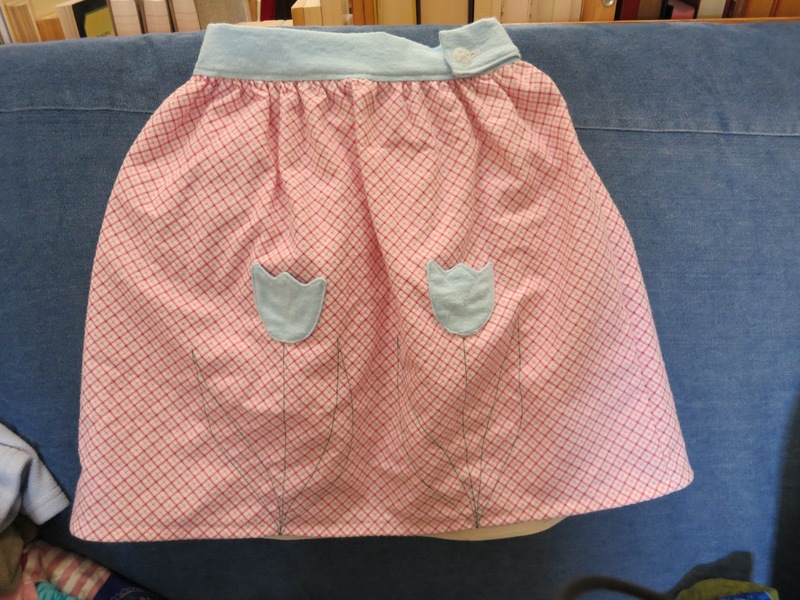 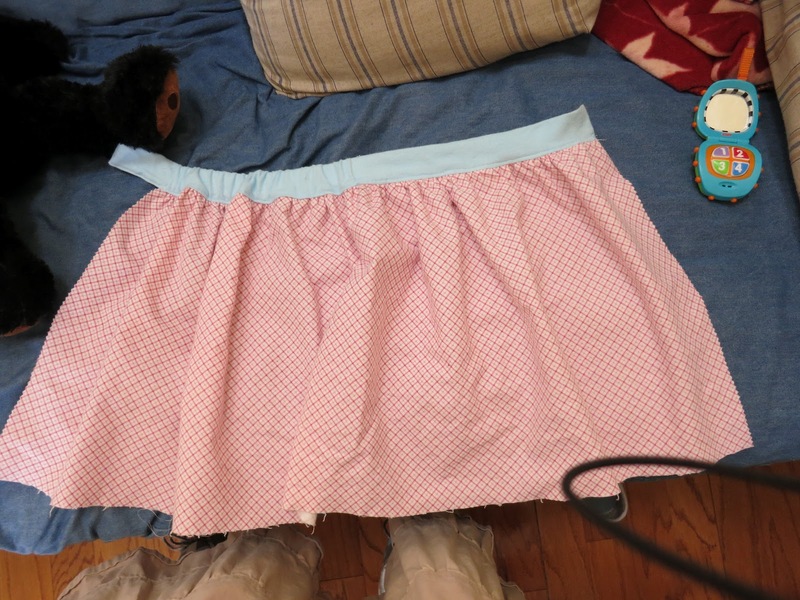 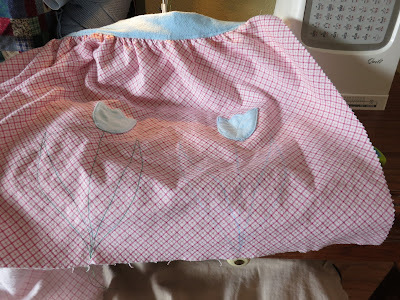 I gathered the skirt, and sewed it to the front side of the waistband, then stitched down the back of the waistband where the elastic goes, then threaded the elastic through the casing and stitched it down on each end, and then closed the rest of the waistband. 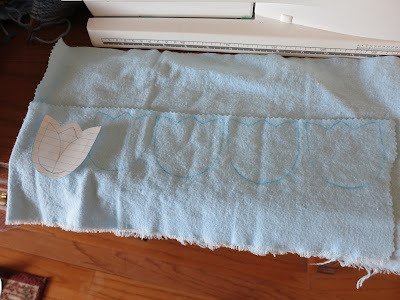 and clipped all the corners so that they would turn neatly. 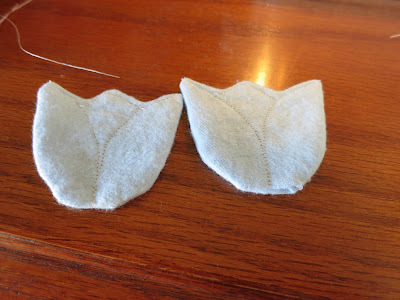 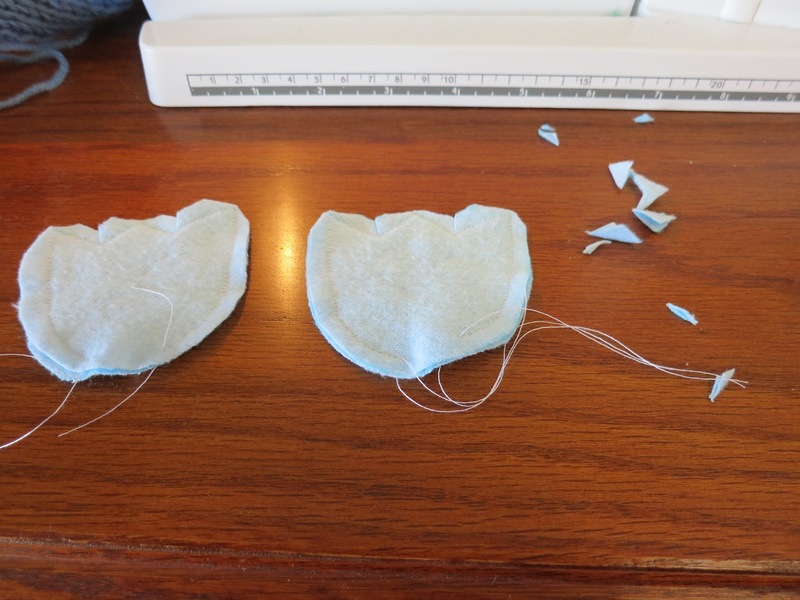 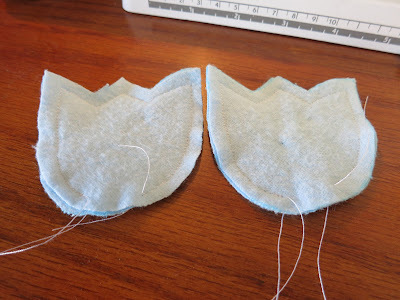 I turned them inside out, using a knitting needle to poke out the corners, and carefully folded in the bottom edge so that the pocket would have a smooth curve on the bottom. I marked the lines I wanted to stitch with a sewing marker (rinses out easily). 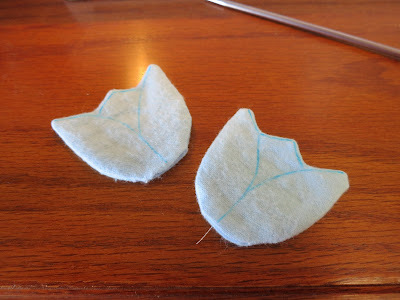 I drew on stems and leaves, and them stitched them with green thread. After adding a button, buttonhole, side-seam, and hem, it's all finished. 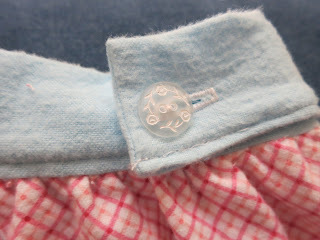 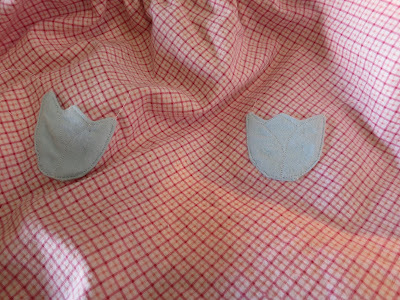 I used bias tape to finish the hem, a quick and easy method that doesn't roll in the wash. 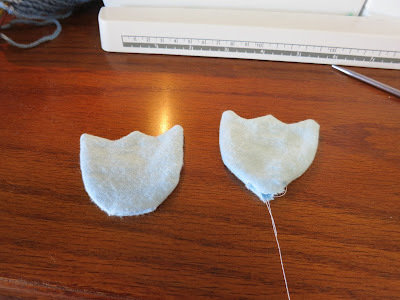 I will definitely use this technique again. 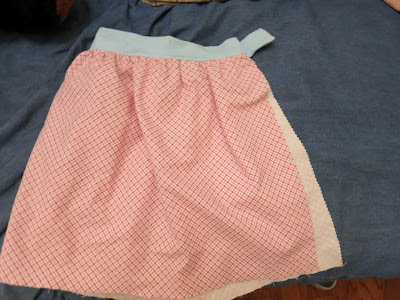 and elastic in the back.